During the 1960s and 1970s, the biologist George Barlow developed a fascination with a Nicaraguan fish. Neither small nor large in angling terms, it was the most prominent member of the community, wherever it was found. Throughout the San Juan River and especially in the Nicaraguan Great Lakes, the Midas cichlid (Amphilophus citrinellus) was an easy catch, whether by hook and line or by cast net. Although sport fishing in Nicaragua during that period focused on the tarpon (Megalops atlanticus), bull shark (Carcharhinus leucas), and guapotes (Parachromis dovii and P. managuensis), the Midas cichlid was still the most common catch in the Nicaraguan Great Lakes and at the time, a staple of the local fish markets (Barlow, 1976a). As Barlow learned, cichlids make great study subjects for the then nascent field of sociobiology, and the Midas cichlid provided him with material for an illustrious career as a researcher of fish behavior (see, for instance, Barlow, 2000). Variation is the hallmark of the Midas cichlid. Differences in color, size, and shape, and even behavior have led to many speculations: Is it a single species or many? This question was asked long before Barlow was born. Throughout the second half of the nineteenth century and into the first half of the twentieth, new species were named—a total of seven—in a chaotic mélange. Even then, there existed “splitters” who tended to give each distinction in shape, color, and size a species name, and “lumpers” who argued that species names should be reserved for forms that meet other, more restrictive criteria. The diversity in forms of Midas cichlids dazzled and deceived all who tried their hand at deciphering them. In 1907, Seth Meek wrote that this group was indecipherably diverse, with the overlapping variations making diagnosis difficult (see Barlow & Munsey, 1976 for a synopsis). Nonetheless, even he bowed to the temptation and added two nominal species to this complex, both now considered synonymous with others already described in his day (Villa, 1976). Laguna Apoyo, a water-filled volcanic caldera in Nicaragua. The Midas cichlids are famous for the “gold” color variation, in which the “normal” patterns of dark spots along the sides over a greyish, greenish, or yellowish background give way to bright colors in irregular patterns. Most of the Midas cichlids found in their natural habitat vary in colors within a characteristic pattern, all sporting a series of about seven black dorsolateral spots over a background which varies from grayish green to purple, to light yellow. During reproductive periods, the black spots grow into vertical bars which may traverse the body of the fish and even merge laterally, sometimes leaving the fish entirely black. “Golds”, however, are bright, with colors ranging from red to yellow to white, without the traditional black spotting pattern, and often without any black coloration at all, and color changes during breeding are not noticeable. This dramatic variant is the reason for the name of the Midas cichlids and the focus of attention of researchers since its discovery. Some of the several species descriptions in this group were based principally on this “gold-normal” color polymorphism. Researchers noted the differences in body shape, color, lip form, and overall size between fishes of the two color forms, but most of the shape and size characters seemed to overlap across a wide variation. Even colors among the “normal” patterned individuals seemed to overlap from grey to green to yellow backgrounds (Villa 1976). However, a clearly bimodal distribution was seen along the “gold-normal” color distinction. Although all Midas cichlids start out life as “normals”, some change colors whereas others do not (Barlow 1976b). And those that change present a variety of colors, and many early researchers keyed in on these color variations to describe species in the groups. Barlow (Barlow & Munsey, 1976), however, coincided with others who had studied the Midas cichlids, such as Robert Rush Miller (1966), and two scientists in Nicaragua, Jaime Villa (1976) and the Basque Jesuit priest, Ignacio Astorqui (1976), in the opinion that most of the multitude of species descriptions in this group through the first half of the twentieth century should be regarded as synonymous with one or another of only two species: the Midas cichlid proper, Amphilophus citrinellus, and the red devil, Amphilophus labiatus. Most of the Midas cichlids found in their natural habitat vary in colors within a characteristic pattern, all sporting a series of about seven black dorsolateral spots over a background which varies from grayish green to purple, to light yellow. An elongate form with exaggerated, thick lips and a noticeable frenum, the red devil had already found its way to the attention of hobbyists, who loved the luxurious shape and the exotic colors often associated with the fish. The lip thickness seemed to vary and to depend on factors beyond genetics; nonetheless, the frenum was regarded as a more dependable character than the lip thickness itself (Barlow & Munsey, 1976). The remainder of these fish, regardless of body shape, size or color, but with thin lips, were lumped into the Midas cichlid. None of these three weighty minds really believed that only two species existed in this group, but rather that either arguments given for the species named were inadequate or the material had been lost or destroyed, leaving no way to reconstruct any potential distinctions beyond and between those that distinguished the red devil from other Midas cichlids. During reproductive periods, the black spots grow into vertical bars which may traverse the body of the arrow cichlid and even merge laterally, sometimes leaving the fish entirely black. Barlow was interested in the way fish select their mates and other behavioral aspects of these fascinating fish. In those days, sociobiology was all the rage, and he followed (or more precisely, led aspects of) this trend with laboratory studies of the Midas cichlids, which he obtained principally from Lake Masaya. In those days, this volcanic lake, nested within but not directly connected to the San Juan River-Lake Nicaragua watershed, was clear enough to observe fish behavior in the lake while SCUBA diving. While most of his research was performed in controlled conditions in the laboratory on fish he transported live to California, he continued to visit and research the lakes of Nicaragua, wherever he could find more, different forms of the subject of his study. In another, nearby, water-filled volcanic caldera, Lake Apoyo, Barlow made some observations which proved seminal to the taxonomic understanding of this species group. Amidst the typical diversity of colors, shapes, and sizes of the Midas cichlids, the “gold” forms relatively common in most other locations, were absent from Lake Apoyo. Barlow enthusiastically studied the differences in mating behavior among these color forms, so the lack of one of them in Lake Apoyo certainly caught his notice. Furthermore, there were no fat-lipped fish in Lake Apoyo. In their place, however, were thin-lipped fish vaguely resembling the Red Devil in body shape. He thought they were sufficiently distinct from the remainder in the lake to consider it a different species. Others at the time, notably the Nicaraguan scientist Jaime Villa, thought it could be a thin-lipped version of the Red Devil. Barlow and a student, John Munsey, conducted a multivariate analysis of the body shapes of this elongate fish, in comparison with the Red Devil from Lake Nicaragua and with the Midas cichlid from various sources. They concluded that this fish was consistently morphologically distinct from either, and it became the arrow cichlid (Amphilophus zaliosus), the first new species in the group to be described after the great “lumping” (Barlow & Munsey, 1976). Color changes during breeding in the so-called “gold” morphs are not noticeable. Here a “gold” morph of Amphilophus sagittae in Lake Xiloá. Barlow and Munsey had noted that elongate forms of Midas cichlids could be found particularly in this lake and in Lake Xiloa, another water-filled volcanic caldera, alongside the more compact forms more typical of the Midas cichlids. They also noted that the arrow cichlid acted differently than the other Midas cichlid forms in Lake Apoyo; whereas others tended to head downward into holes among rocks when hooked by anglers, the arrow cichlid would speed inward toward the deep waters in the funnel-shaped lake. They had even observed arrow cichlids near the surface and at great depths, following pelagic schools of the silversides Melaniris sardina. 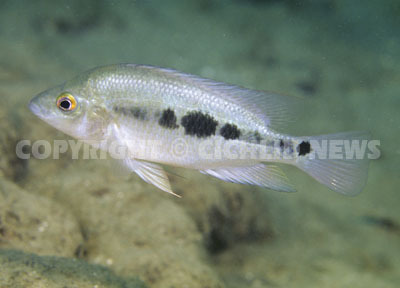 The arrow cichlid has seven black dorsolateral spots and one caudal spot over a silvery gray background, without any yellow coloration, in its non-breeding state (see photo previous page). When breeding, the black spots extend into black vertical bars which often merge horizontally, giving the fish a completely black sheen. As in other Amphilophus species, the male is always notably larger than the female in the wild, reaching more than 16 cm (6.3 in) standard length (the length not including the caudal fin). Initial differences of opinion regarding the validity of the arrow cichlid as a unique species were eventually overcome. Hobbyists had procured samples, and they claimed that it was, indeed, different. Their claims were anecdotal and lacking demonstrable evidence, Barlow’s student Jeffrey Bayliss (1976) found that the arrow cichlid preferred to mate with its own in the presence of other Midas cichlid forms, under laboratory conditions. This preference was not absolute, however, and arrow cichlids would mate with other taxa when given limited choices. Whether the mating preferences were indicative of separate populations in the wild remained to be proven. The Midas cichlid/red devil/arrow cichlid group formed a kind of holy trinity that was not challenged for twenty-six years. Its composition, however, belied the eventuality that more species were to be added to this group. The same evidence that validated the arrow cichlid as a distinct species, implicated the existence of many other species in the group; this evidence essentially made A. citrinellus a wastebasket taxon awaiting new species to be culled from it and given valid names and descriptions. Jay R. Stauffer, Jr., used a multivariate analysis technique called principal component analysis, which he had previously applied to African cichlids, to compare the existing and putative Midas cichlid taxa (Stauffer & McKaye, 2002). The elongate A. zaliosus was distinguished from all nominal species in this group and from three putative species found in Lake Xiloá. Furthermore, Stauffer’s morphological work justified what our own work under the water had strongly suggested that three taxa of this group could all be distinguished from each other morphologically in Lake Xiloá. He used this information to justify the descriptions of three new species from Lake Xiloá in 2002, including the previously mentioned A. sagittae, and two compact bodied fish, Amphilophus amarillo and Amphilophus xiloaensis. Stauffer furthermore demonstrated that A. sagittae from Lake Xiloá and A. zaliosus from Lake Apoyo have small but demonstrable morphological differences. Both are silvery without yellow background coloration, both tend to turn completely dark during breeding, and both are elongate, but principal component analysis demonstrated consistent and significant morphological differences between the two species. When breeding, the black spots extend into black vertical bars which often merge horizontally, giving the arrow cichlid a completely black sheen. Stauffer later analyzed more material from Lake Apoyo this time among the various compact forms, based on initial suggestions of new species made from thousands of hours of underwater observations by our crew. Five compact-bodied species have been described, in publications in 2008 (Stauffer et al., 2008) and 2010 (Geiger et al., 2010b), all justified by unique morphological aspects as revealed by principal component analysis. Thus, by 2010, two lakes sported a single thin-lipped, elongate species, and multiple compact-bodied species. Additionally, a thick-lipped A. labiatus inhabits Lake Xiloá. The most common of the compact fishes in Lake Apoyo, Amphilophus astorquii, is appropriately called the little Apoyo cichlid, only reaching a maximum standard length of 15.5 cm (6.1 in), with an average size among the fish used in the species description only 10.8 cm (4.2 in). In contrast, the material used to describe A. zaliosus averaged 12.3 cm (4.8 in), although the size ranges overlap considerably between these two species, and the other compact species described from Lake Apoyo are even larger than this one! Body shape and coloration (A. astorquii tends toward a greenish background color while A. zaliosus tends toward silver) and body shape differ between the two, however, making them discernible in the field once they are about eight cm (3.1 in) standard length. Thomas Kocher, then a professor at the University of New Hampshire and a former student of Barlow, analyzed DNA in the several Midas cichlid populations from Lake Apoyo and other locations. Kocher studied three microsatellites, or short sequences of repeated nucleotides. Mutation rates are quite high in regions called microsatellites, which are segments of up to six nucleotides which may appear in repetition. Although this part of the DNA may not be inside any particular gene, and its biochemical or genetic function may not be understood, inheritance patterns for the number of repetitions are similar to those in the rest of the DNA. Kocher demonstrated that the arrow cichlid was indeed, genetically distinct from other forms, including one group of the “fat lips” variety, and from the elongate form from Lake Xiloá, which was named Amphilophus sagittae. Later, Matthias Geiger studied the phylogenetics of the Midas cichlid/red devil/arrow cichlid group using both genomic and mitochondrial DNA, in which he laid the issue to rest definitively, showing first that all species of the Midas cichlid group found in Lake Apoyo are derived from one or a few introductions and therefore the arrow cichlid evolved in Lake Apoyo as part of an endemic species flock, and therefore inhabits only this lake (Geiger et al., 2010a). The genetic distinctions between the now-described six species of Lake Apoyo were further characterized by Geiger and colleagues (2013), demonstrating the evolution of these species via a complex process which has included hybridizations and possible introgressions from sources outside Lake Apoyo, although the principal aspect of this process has been sympatric speciation in the lake. 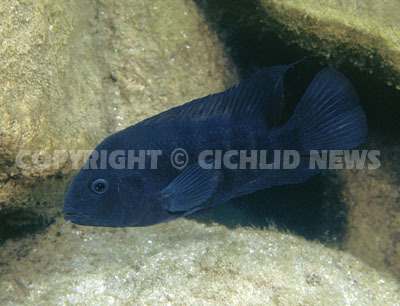 The most common of the compact fishes in Lake Apoyo, Amphilophus astorquii, is appropriately called the little Apoyo cichlid. The only data available to date on relative population sizes among the Midas cichlid species in Lake Apoyo was published in 2008 (McCrary & López, 2008), using nest counts in three sites. The little Apoyo cichlid dominated the nest counts, followed by the arrow cichlid which only reached about five percent of the nests. In the transect with the greatest amount of nesting on the south side of the lake, the arrow cichlid and the little Apoyo cichlid chose very similar depths (9.9 m (32.5 ft) for the arrow cichlid vs. 12.5 m (41 ft) for the little Apoyo cichlid). They accommodated each other largely by nesting at different times, however: The months of greatest nesting frequency for the little Apoyo cichlid were November and December, whereas the arrow cichlid preferred October and February, reducing its nesting activity during months when sites are overwhelmed by the more abundant species. Martha Barluenga (Dittmann et al., 2012) conducted a rapid count of Amphilophus cichlids in Lake Apoyo and estimated fewer than 100,000 adult fish throughout the lake. Their methodology was limited and did not distinguish among the taxa of this group, but led to a conclusion that our unpublished data support that the numbers of the arrow cichlid and other species of this group in Lake Apoyo are alarmingly small. 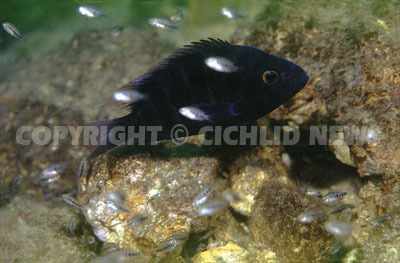 The arrow cichlid is easily seen in the wild in Lake Apoyo. I supervise a long-term monitoring program of the cichlid populations in this lake, where the arrow cichlid is common in some of the monitoring sites. In those locations, we see several non-breeding individuals on every dive, where they generally mix with the compact forms of the species group, and often pull out to chase schools of silversides (A. sardina). When breeding, males tend to stay with females for the entirety of the approximately six weeks of care to the free-swimming fry, often moving about in open water with the fry to facilitate access to microscopic food sources in the water column and peri­phyton for the young. 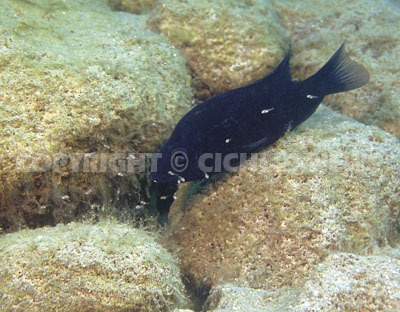 Although nesting is most often documented in rocky reefs where great competition for nesting sites can be found, pairs often nest successfully in holes over nondescript substrate areas, far from structure that tends to attract other cichlids. A female Amphilophus zaliosus guarding her offspring in Lake Apoyo. As a somewhat large and potentially aggressive fish when breeding, the arrow cichlid is not a fish for the beginning aquarium hobbyist, but it holds many attractions to the advanced hobbyist. Furthermore, like other Red Listed species, this fish deserves special consideration by those interacting with it. The arrow cichlid is not CITES listed, which means exportation permits from Nicaragua to other countries are available to those wishing to take the trouble. I recommend that all exportations be made through the legal authorities in both Nicaragua and the receiving country. In that way, traceable stocks can be managed in the event that additional information is needed. This can be important first of all to distinguish the arrow cichlid reliably from other elongate members of this group such as A. sagittae. The morphology of adults of this group is known to be highly dependent upon the conditions of growth, which means that aquarium-raised specimens may look very different from their ancestors in the wild. By purchasing only fish that come from stocks that can be traced to export permits, advanced aquarists can know what they are getting and they can promote the protection of this species by supporting the process inside Nicaragua which protects this species in the wild. Thus, someone who wishes to keep this fish can even be part of protecting the wild population of a species facing great risks by contributing to managed use of the species by facilitating the availability of captive stocks for studies of this worthy species. Among the approximately 150 species of fish found in Nicaraguan freshwater, the arrow cichlid is in a small, elite group. To date, the conservation status of only five species of freshwater fishes found in Nicaragua has been analyzed, among them this species. To assign a conservation status, several factors are considered, among them the range in which the species is found in nature; the estimated population; the reproductive capacity of the species; the environmental challenges facing the species and the resilience of the species to these challenges. 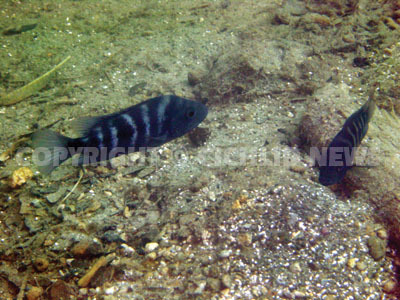 The essential habitat of the arrow cichlid is exceedingly small; the near-shore zone of Lake Apoyo. This lake is designated part of a protected area—the Laguna de Apoyo Nature Reserve. Nonetheless, the lake is encountering rapid changes including dropping water levels, residential development along its shore, and concomitant changes in the water chemistry. The arrow cichlid conservation status on the Red List is Critically Endangered, yet deforestation and residential and commercial development continues to occur along its shores. Barlow, George W. (1976a) The midas cichlid in Nicaragua. In: T.B. Thorson (Ed.) Investigations of the ichthyofauna of Nicaraguan lakes. University of Nebraska, Lincoln. Barlow, G.W. (1976b) Competition between color morphs of the polychromatic Midas cichlid Cichlasoma citrinellum. In: T.B. Thorson (Ed.) Investigations of the ichthyofauna of Nicaraguan lakes. University of Nebraska, Lincoln. Barlow, G.W. (2000) The Cichlid Fishes: Nature’s Grand Experiment in Evolution. Basic Books. Barlow, G.W. & J.W. Munsey (1976) The red devil-Midas-arrow cichlid species complex in Nicaragua. In: T.B. Thorson (Ed.) Investigations of the ichthyofauna of Nicaraguan lakes. University of Nebraska, Lincoln. Bayliss, J.R. (1976) A quantitative study of long-term courtship: I. Ethological isolation between sympatric populations of the Midas cichlid, Cichlasoma citrinellum, and the arrow cichlid, Cichlasoma zaliosum. Behaviour 59: 59–69. Dittmann, M.T. et al. 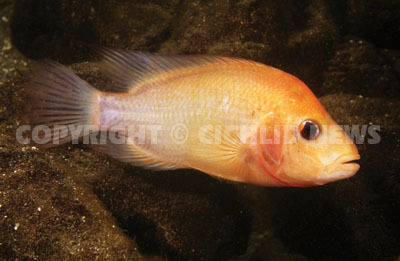 (2012) Depth-dependent abundance of Midas cichlid fish (Amphilophus spp.) in two Nicaraguan crater lakes. Hydrobiologia 686: 277–285. Geiger, M.F., J.K. McCrary & U.K. Schliewen (2010a) Not a simple case-a first comprehensive phylogenetic hypothesis for the Midas cichlid in Nicaragua (Teleostei: Cichlidae: Amphilophus). Molecular Phylogenetics and Evolution 56: 1011–1024. Geiger, M.F., J.K. McCrary & J.R. Stauffer Jr. (2010b) Description of two new species of the Midas cichlid complex (Teleostei: Cichlidae) from Lake Apoyo, Nicaragua. Proceedings of the Biological Society of Washington 123: 159–173. Geiger, M.F., J.K. McCrary & U.K. Schliewen (2013) Crater lake Apoyo revisited – Population genetics of an emerging species flock. PLoS One 8: e74901. McCrary, J.K. & L.J. López Pérez (2008) El monitoreo de las mojarras (Amphilophus spp.) en Nicaragua con aportes sobre su ecologia y estado de conservación en la Laguna de Apoyo. Rev Nic Biodiv 1: 43–50. Miller, R.R. (1966) Geographical distributions of Central American freshwater fishes. Copeia 4: 773–802. Stauffer, J.R., Jr. & K.R. McKaye (2002) Descriptions of three new species of cichlid fishes (Teleotei: Cichlidae) from Lake Xiloá, Nicaragua. Cuadernos de Investigación de la UCA 12: 1–18. Stauffer J.R., Jr., J.K. McCrary & K.E. Black (2008). Three new species of cichlid fishes (Teleostei: Cichlidae) from Lake Apoyo, Nicaragua. Proceedings of the Biological Society of Washington 121: 117–129. Villa, J. (1976) Systematic status of the cichlid fishes Cichlasoma dorsatum, C. granadense and C. nigritum Meek. In: T.B. Thorson (Ed.) Investigations of the ichthyofauna of Nicaraguan lakes. University of Nebraska, Lincoln.